Announced on July 12, 2018, Apple's 2018 15-inch MacBook Pro features new eighth-generation Intel 6-core and quad-core processors with Turbo Boost speeds of up to 4.8GHz. 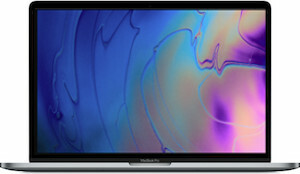 The new 15-inch MacBook Pros can also be equipped with up to 32GB of high-performance 2400MHz DDR4 memory, and each MacBook Pro comes with a Radeon Pro discrete GPU with 4GB of GDDR5 memory. Weighing in at 4 pounds and 15.5 mm thick, the latest 2018 15-inch MacBook Pro offers desktop-class processing performance in a portable chassis. Price with coupon code appleinsider. Plus, get $0.01 shipping with the code. Expercom will not collect sales tax on orders shipped outside Utah. As always, if you have any issues, you can reach out to us at deals@appleinsider.com and we'll try and help. Price with $225 promo code APINSIDER. As always, if you have any issues, you can reach out to us at deals@appleinsider.com and we'll try and help.